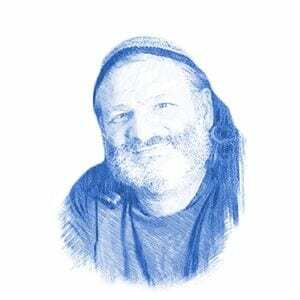 Month of the Shofar - Breaking Israel News | Latest News. Biblical Perspective. The month of Elul marks a period of preparation leading up to Rosh Hashanah (the Jewish New Year) and, ten days later, the holiday of Yom Kippur (the Day of Atonement). The primary tool to aid Jews in preparing for repentance is the shofar, a specially prepared ram’s horn, which is blown every weekday of the month during morning prayers. It is the focal point of the Rosh Hashanah service and is blown at the end of Yom Kippur. The first case of a shofar being used to awaken the Jews to serve God preceded the giving of the Torah at Mount Sinai. Rosh Hashanah is referred to in the Bible as zikaron teruah (a memorial of shofar blasts). The shofar was also unique in being used to announce the jubilee, once every 50 years. The shofar was also blown in times of war, most notably when Joshua besieged and then conquered Jericho. In recent times, Rabbi Shlomo Goren, the chief rabbi of the IDF, blew a shofar after the battle in the 1967 Six-Day War in which Israel conquered the Temple Mount. According to Jewish tradition, Elijah the prophet will re-appear just before the Messiah. Elijah will anoint the Messiah and announce his arrival with blasts on a shofar. The Yochanan Ben Zakkai Synagogue in Jerusalem’s Old City has a shofar and flask of oil on a high shelf waiting for Elijah’s use. This pre-Messiah shofar blast is prophesied to also awaken the dead. In preparation for Rosh Hashanah, Breaking Israel News visited Kol Shofar in Givat Yoav in the Golan, where Shimon Keinar has been making shofarot for 17 years. All animals that are kosher to be eaten (i.e. split hooves and chew their cud) can be used for making a shofar if they have horns. The only exception is a cow, whose horn may not be used as a shofar. Coincidentally, horns from permissible animals are not solid bone but have cartilage inside making it possible to hollow them out. One explanation is that a cow’s horn will remind God of the Sin of the Golden Calf. A ram’s horn is traditionally used on Rosh Hashanah as a reference to the Binding of Isaac. Yemenite Jews traditionally use a shofar from a Kudu, a type of African antelope, with a particularly long and twisted horn. 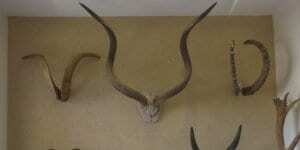 Other horns that are commonly used come from antelopes, gazelles, goats, and Rocky Mountain goats. The animal does not have to be ritually slaughtered in order for its horn to be used as a shofar. The horn needs to be dried out to separate the cartilage from the bone. After drying, the shofar needs to be boiled in water for between two and five hours. Add a bit of washing soda can help with later cleaning. The cartilage can then be removed using a pick. Use a flexible wire to check how far the hollow inside the horn extends. Make a mark on the outside of the Shofar about one inch further along than where the hollow ends. Cut off approximately one inch from narrow tip with a saw. It is important to make sure that the horn is completely dry before cutting it. Drill into the sawed-off end a hole of 1/8 inch using an electric drill until the bit reaches the hollow of the horn. Use the rounded drill bits to carve a bell-shaped mouthpiece at the end of the shofar. The edge of the mouthpiece can be smoothed. Keinar tunes each shofar, adjusting the tone and timbre by shaping the mouthpiece. There must be no holes or splits on the sides of the shofar. Paint or metal adornments render the shofar unfit for ritual use. The shofar may not be fitted with a mouthpiece. Shofarot appeared prominently in the Temple service and for some uses were fitted with silver mouthpieces, though for other purposes this was not allowed. The outside of the shofar may be polished or engraved but nothing can be glued or attached to it, even if it is made from the same material. It is forbidden to blow the shofar on Shabbat and it is, in fact, muktzah (forbidden to pick up or carry). This is true even when Rosh Hashanah falls on the Sabbath, in which case the shofar service is read but without the shofar being blown. For ritual purposes, only one shofar may be sounded at a time. Keinar, a religious Jew, makes thousands of shofarot each year, selling most of them from his showroom in the Golan. He runs tours in which he explains his craft. He noted that in recent years, many shofar suppliers have chosen to import from Morocco and other countries rather than from Israel. In recent years, Evangelical Christians have become enthusiastic customers for Keinar’s wares.